Remember my new oven I got a few weeks ago? I tested my skill in baking and I'm a dumber, as expected. 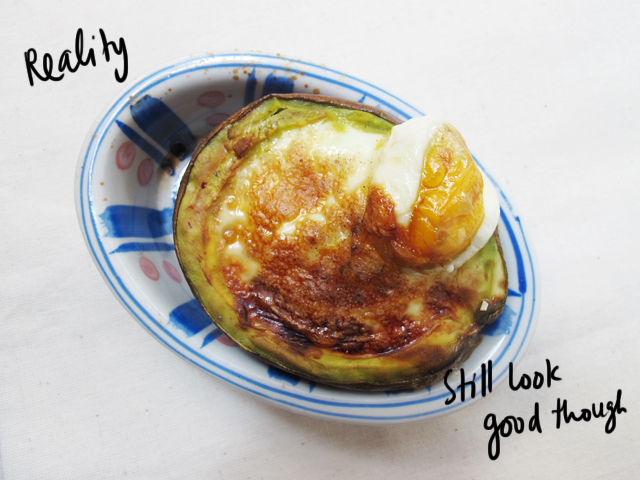 I tried to make a baked egg in avocado for brunch but the avocado was overcooked so it tasted not good and left a weird after taste. Anyway, as the picture is still good to be published in this blog so here I share you the recipe. Slice the avocado in half and remove the pit. 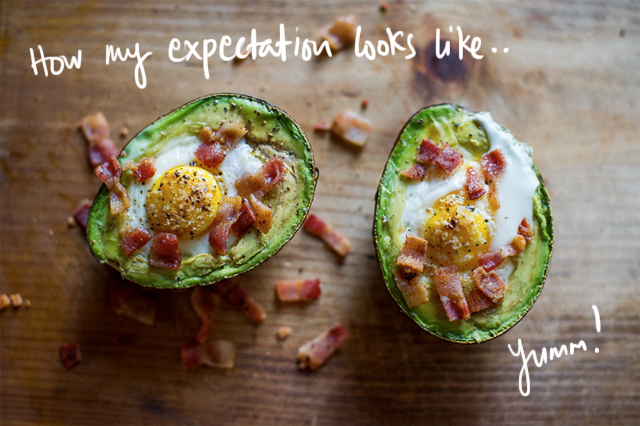 If the hole is too small, scoop the avocado a bit to make it big enough for one egg.